2 Bedroom Terraced House For Sale in Glasgow for Offers Over £115,000. This rarely available 2 bedroom mid terraced villa in the highly desirable area of Hogganfield, which is a short drive from the centre of Glasgow. 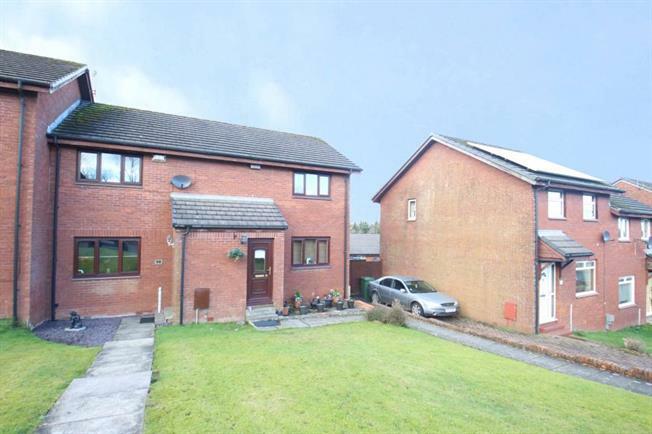 It is situated in a family friendly development and is minutes walk from the picturesque Hogganfield Loch. The accommodation comprises a bright and spacious lounge which extends to the modern dining kitchen with a range of wall and floor units and matching work surfaces. This gives direct access to the rear garden. The upstairs of the property has two bright double bedrooms both of which have storage cupboards, finishing the accommodation is the modern family bathroom. The property is further enhanced by well maintained gardens to the front and rear. It also benefits from gas central heating and double glazing throughout. The property is located a few minutes drive to Robroyston Retail Park, there is also good rail and bus links to Glasgow city centre and surrounding area, the M8 and M80 motorway networks are also near by.